7.27 points at 22 votes (rank 268). 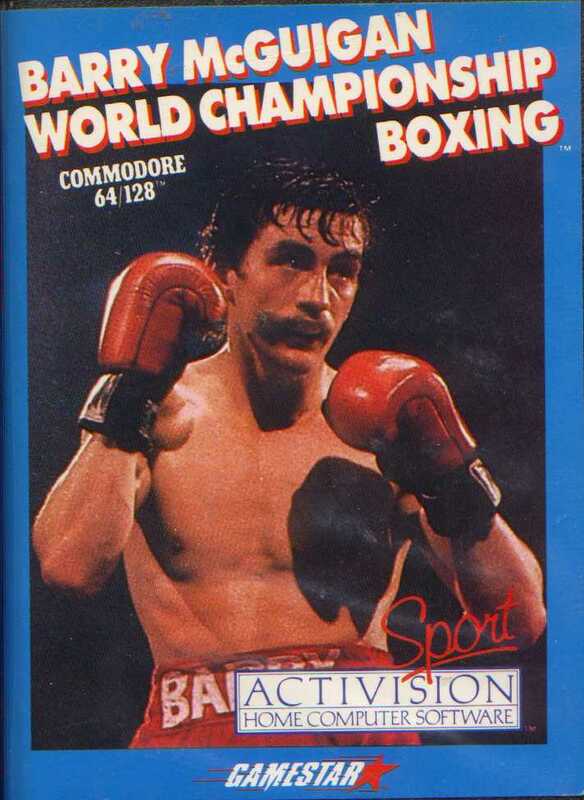 "Barry McGuigan" deals in contrast to "Frank Bruno's Boxing" or "Fight Night" seriously with the sport and should be seen as a simulation. At the beginning you can create your own boxer. The possibilities of configuration go from the obligatory choice of the name over choosing the hair, skin and clothes colour to the boxers style and his image. 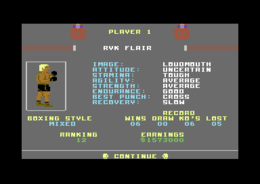 The aim of the game is to defeat the world champion - Barry McGuigan, lo and behold - and ascend the throne of boxing yourself. For this you fight through the world ranking list, whereby you can always choose between two fighters before and one behind you. The time between the fights is used for training, which you will notice significantly during a fight. During the breaks you get shown the score of the past round, together with information about the well-being of the audience. There is prize money for each fight, but this gives no advantage for the game itself. The game is graphically rather simple, the audience only consists of empty circles, there is no referee. 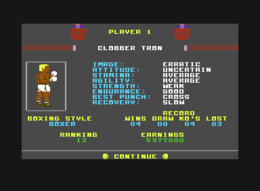 In return, the animations of the boxers give nice feedback about the force of the blows. A knockout is awarded by the faceless audience with a frenzy of camera flashes. 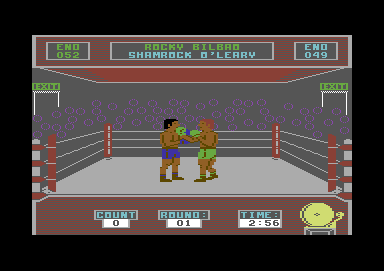 Concerning the music, the game entertains you between the fights with quick music pieces that have earworm character. In the fight itself, there is nothing to hear except the bell, the blows of the boxers and the cheers of the audience. The movements towards the opponent or away from him happen indirectly. If you lower the cover, the boxer will move forward, if he gets beaten up badly, he will back off, if you hide behind the cover, he will stand still. Practice makes perfect. If at some point you cannot defeat an opponent - just go on training, sooner or later you will make it. Rockford: "I liked to play this already in the old days. 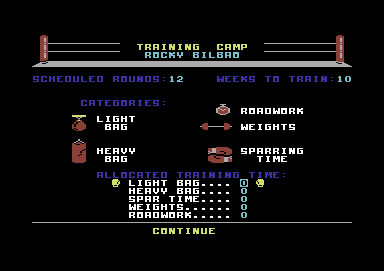 Next to "Rocky" (GC) the only boxing game that could fascinate me for longer. When the fight is very close, the pulse goes up and there is a film of sweat forming on your forehead. Of course the game palls if you have finally made it to push good old Barry from the world's top position. Good 8 points from me, for the exciting fights and the almost role-play like training part." Andre2905: "The game was always great fun to me, although I never made it far. Big deficiency: you cannot save your progress. Therefore I would give 6 points. But as nowadays this can be solved with the emulator, there are 8 points from me." 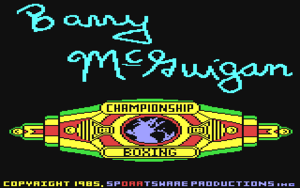 The game is based on the Irish boxing legend Barry McGuigan (see cover). When there is a tie in the ranking, then the fewest fights make the difference for the place in the highscore list. This page was last modified on 22 December 2016, at 20:02.